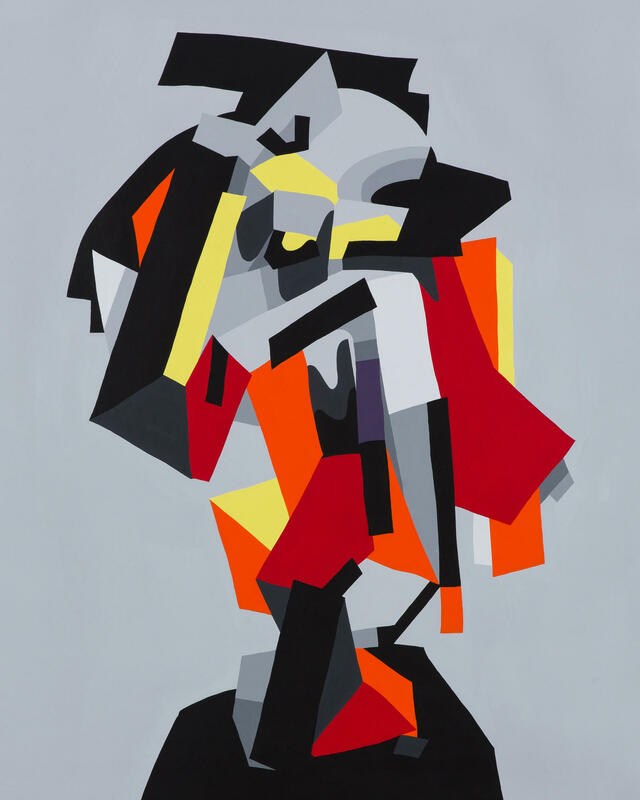 Some start small; Tobias Kroeger started rather large. 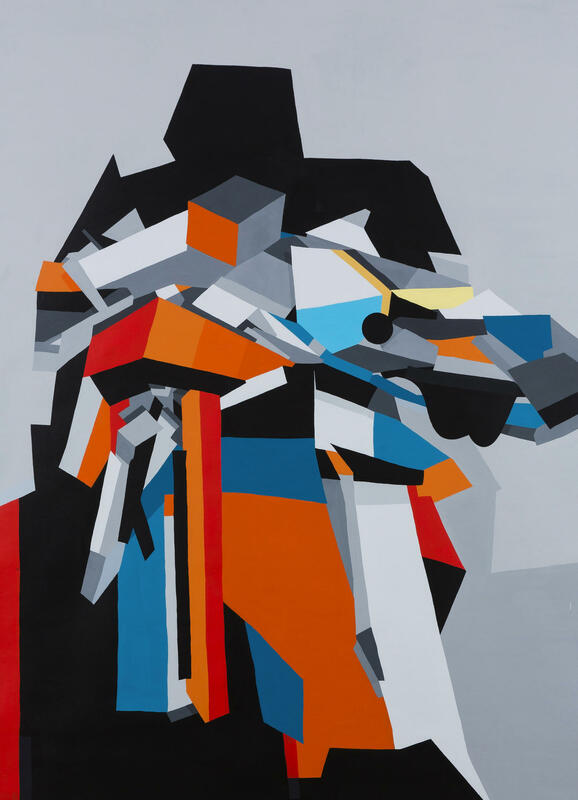 Inspired by the New York City subway graffitis of the 1990’s, he sprayed his first works of art in his hometown of Bremen, Germany, at the age of 12. 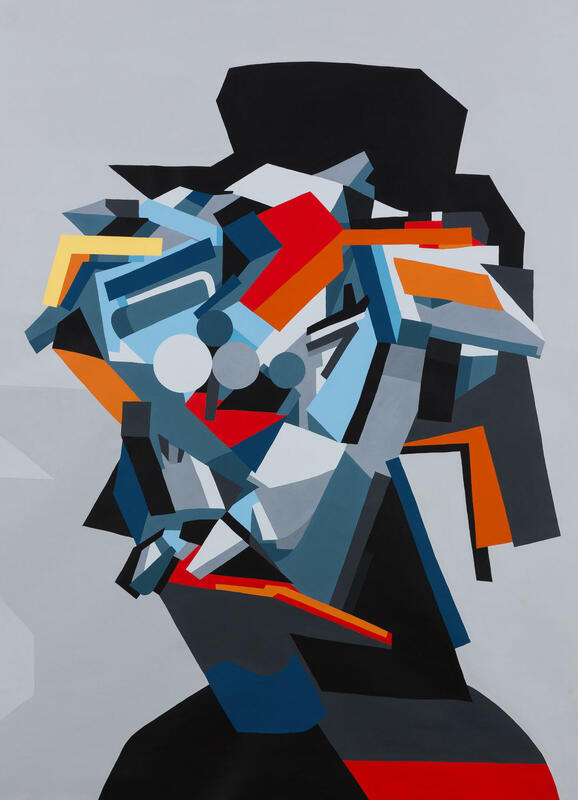 Kroeger spent his youth exploring the boundaries of the genre: Out of the typical imagery of graffiti, he developed his own iconography, and finally transported this style on to classic canvas – since 2013, his focus has been on using oil and acrylic paints. 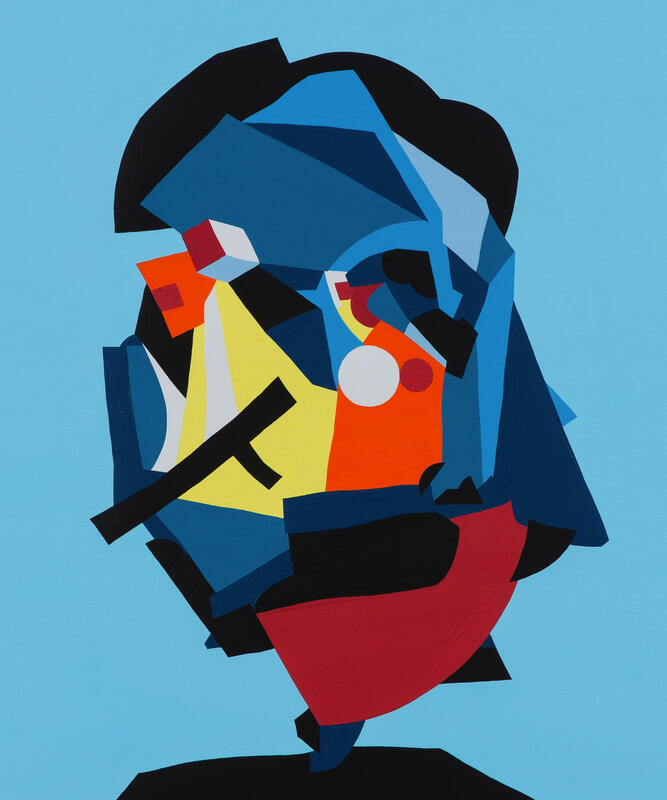 Kroeger has catapulted the classical portrait—in which he often inserts quotes—into the digital world of ones and zeros. 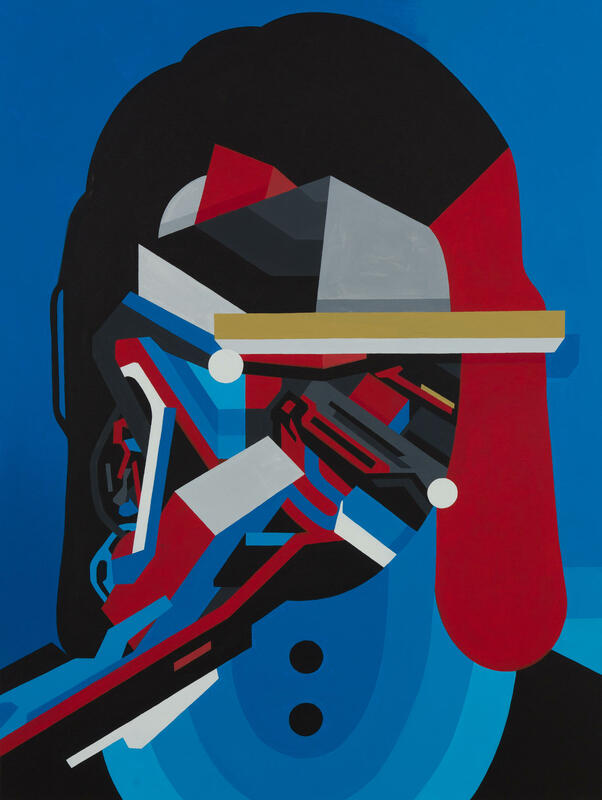 When speaking about his works, Kroeger talks about data fragments and machine elements, of heteronomy and life dreams that have little space under the conditions of mechanization and, therefore, get lost in standardized conditions. 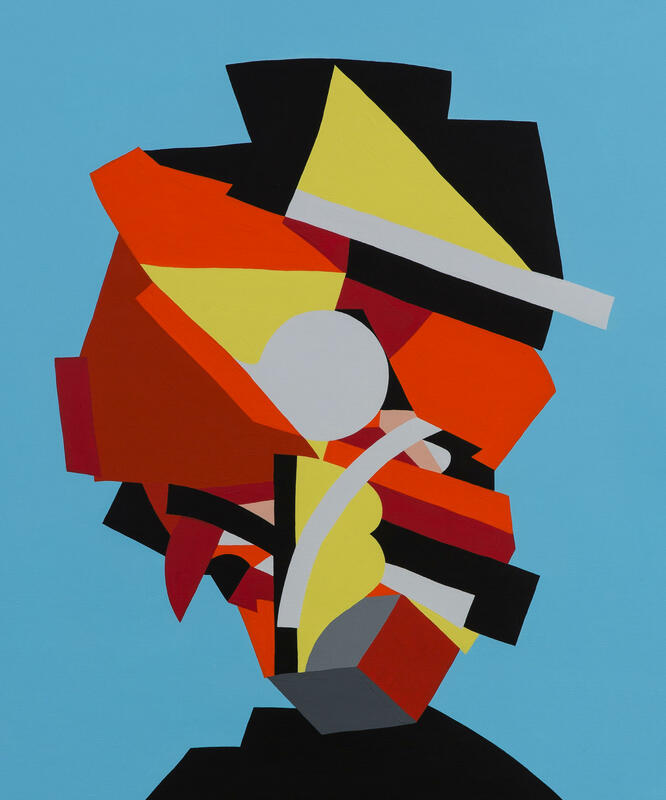 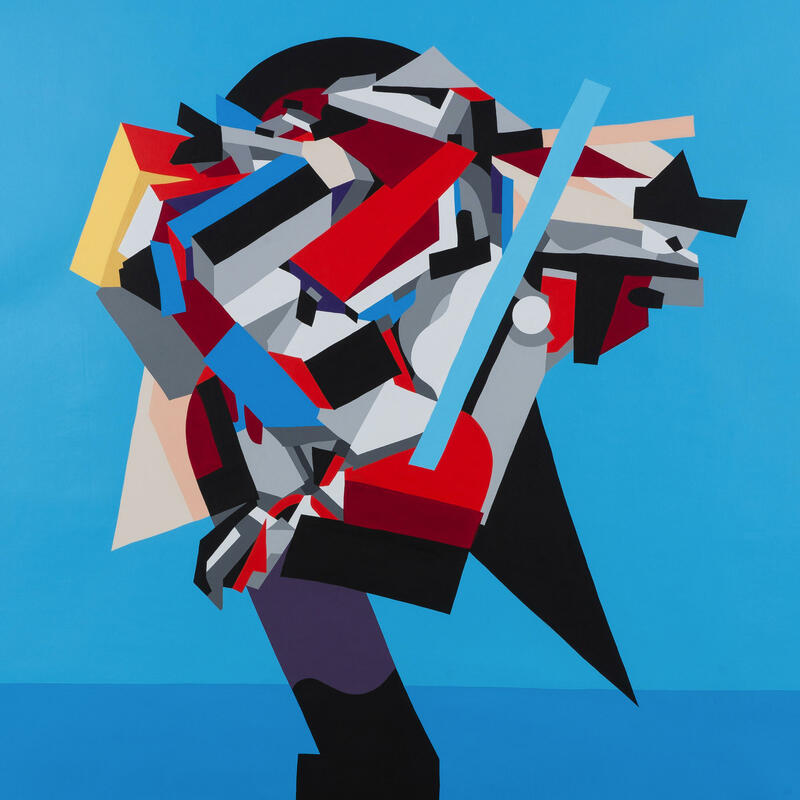 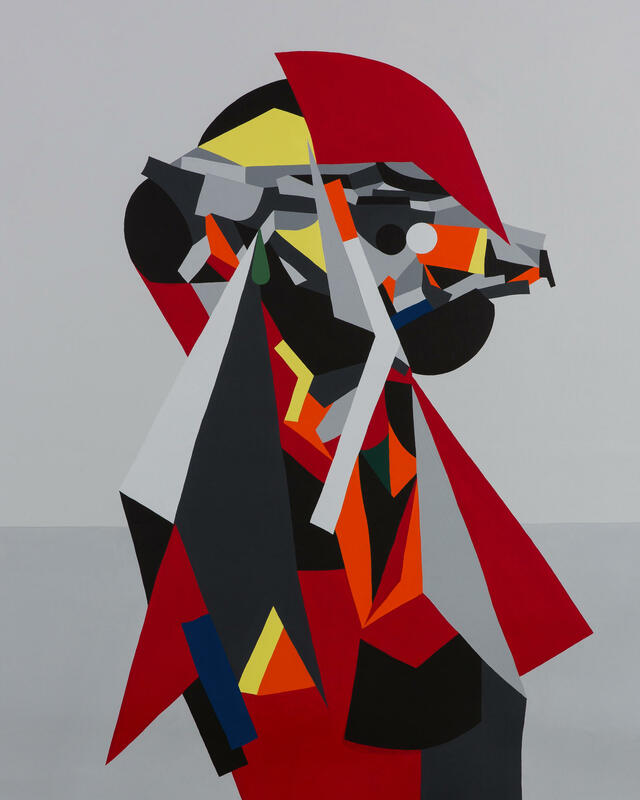 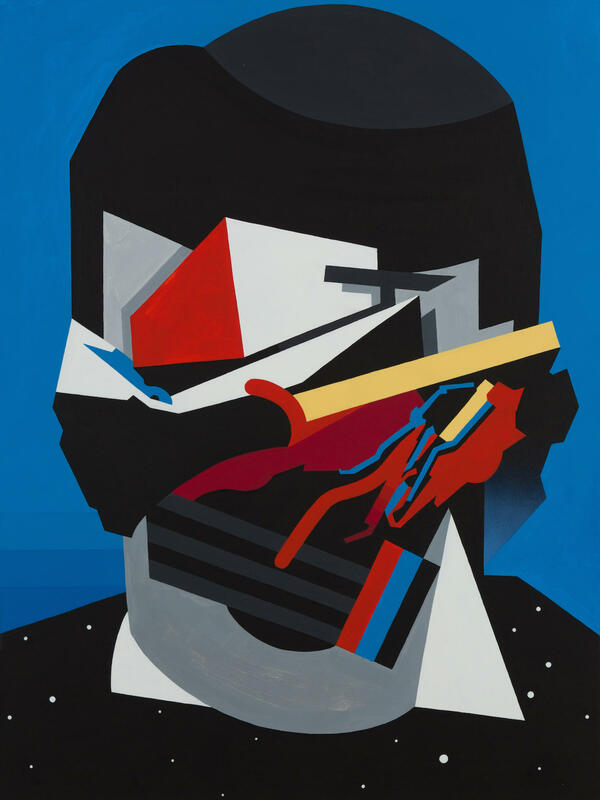 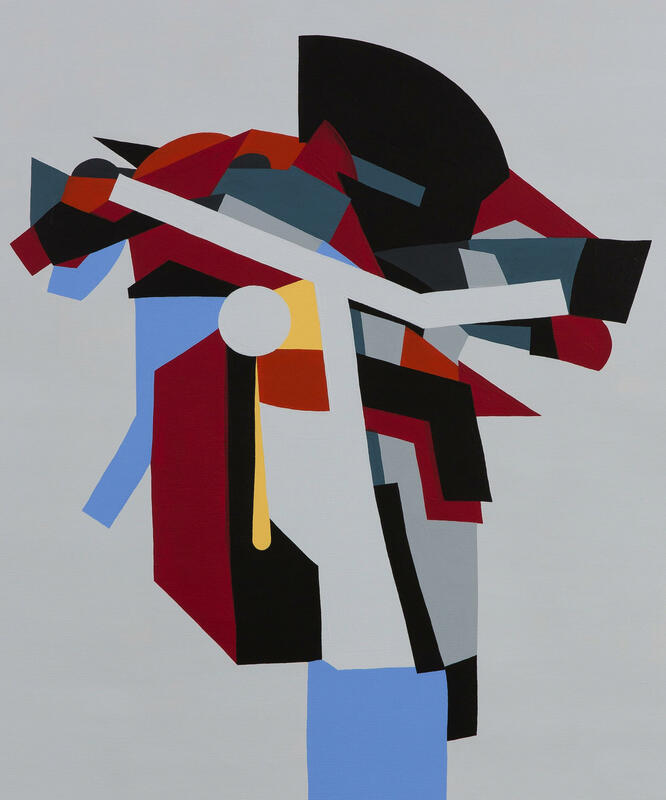 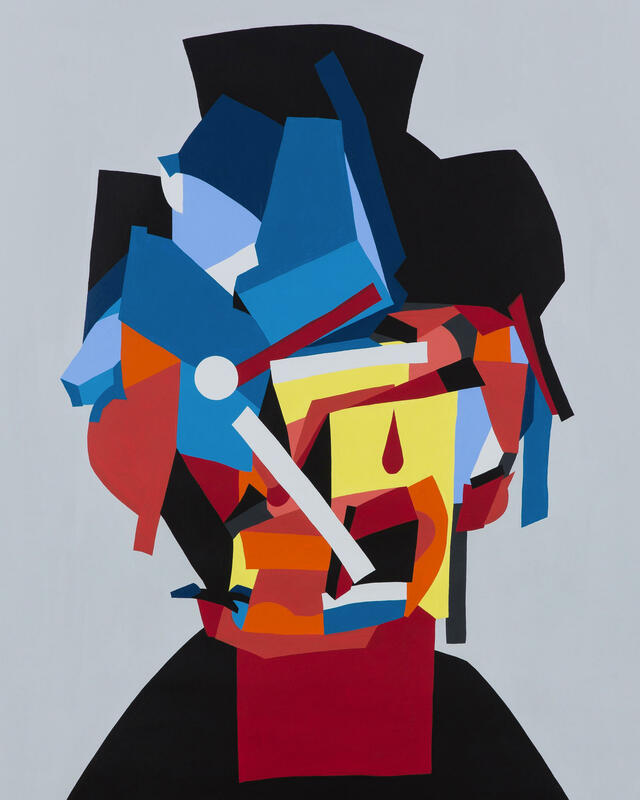 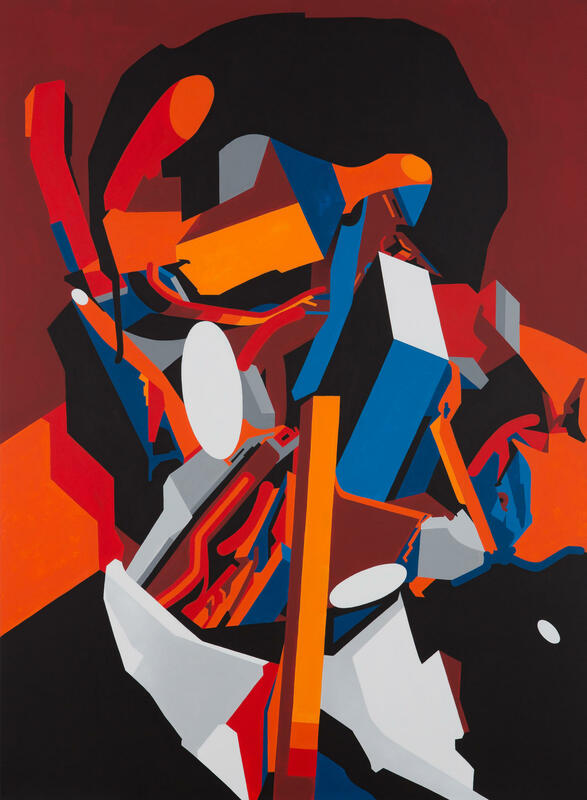 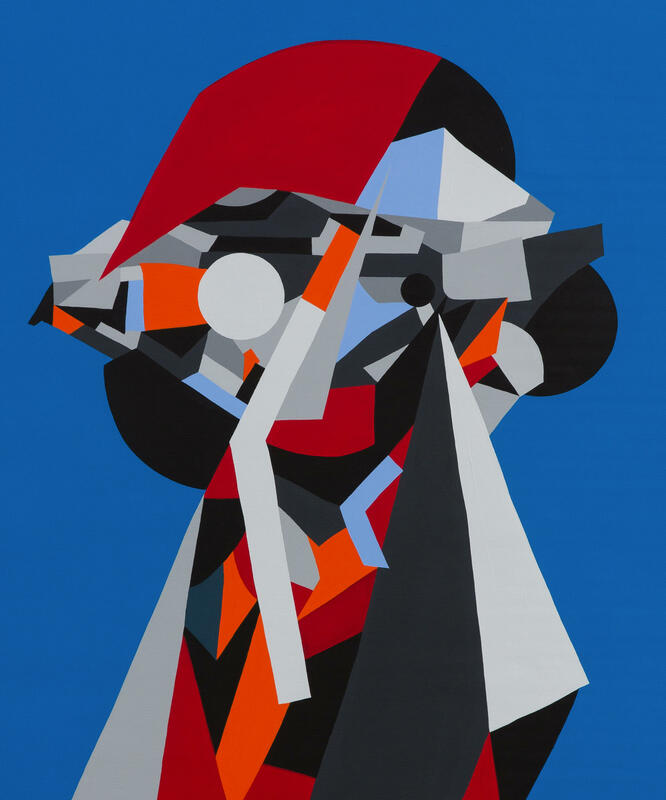 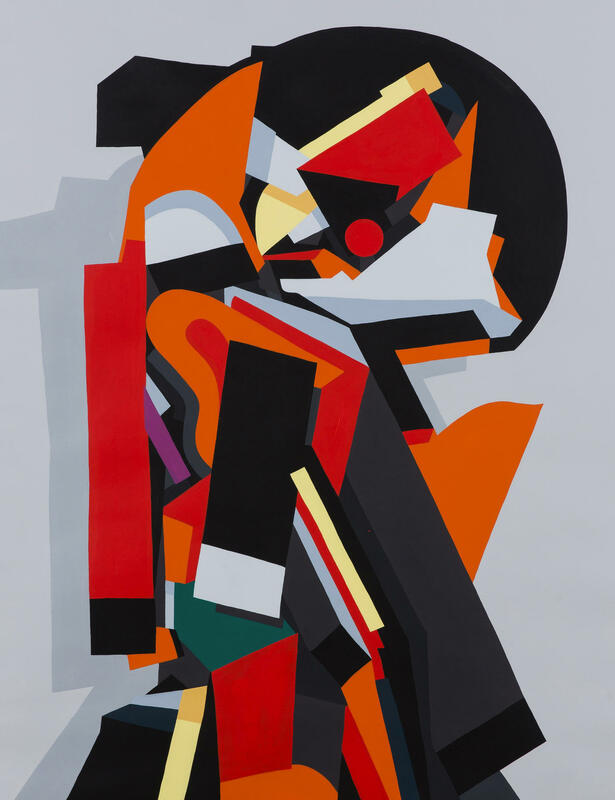 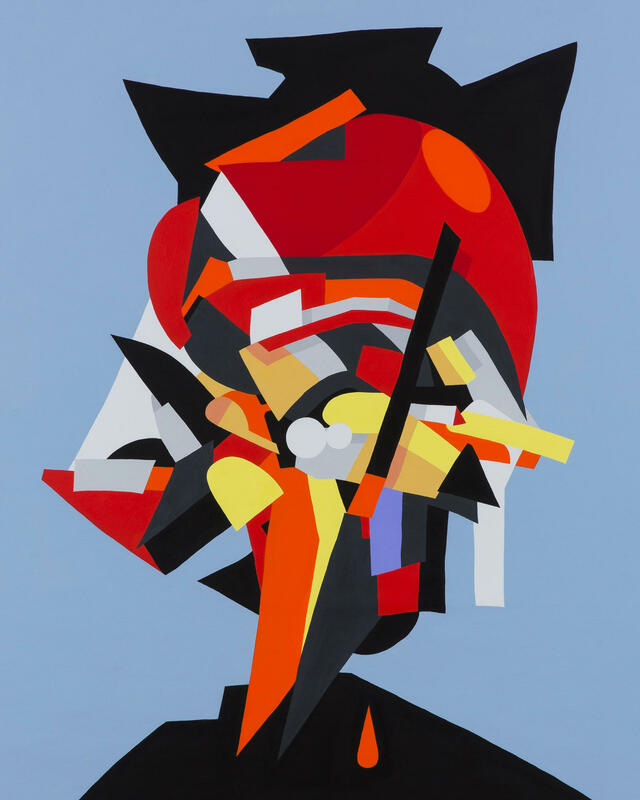 He repeatedly plays with strong abstractions, but inserts figurative elements and color schemes to guide the viewer. 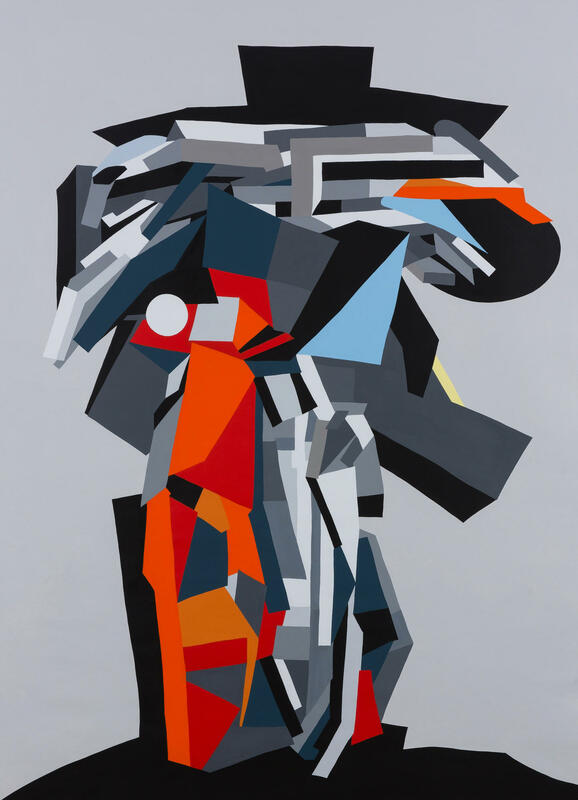 Unlike in previous phases of his work, he uses an impasto technique, incorporating intense yellow, orange, blue or pink, and then binds them together with various shades of grey. 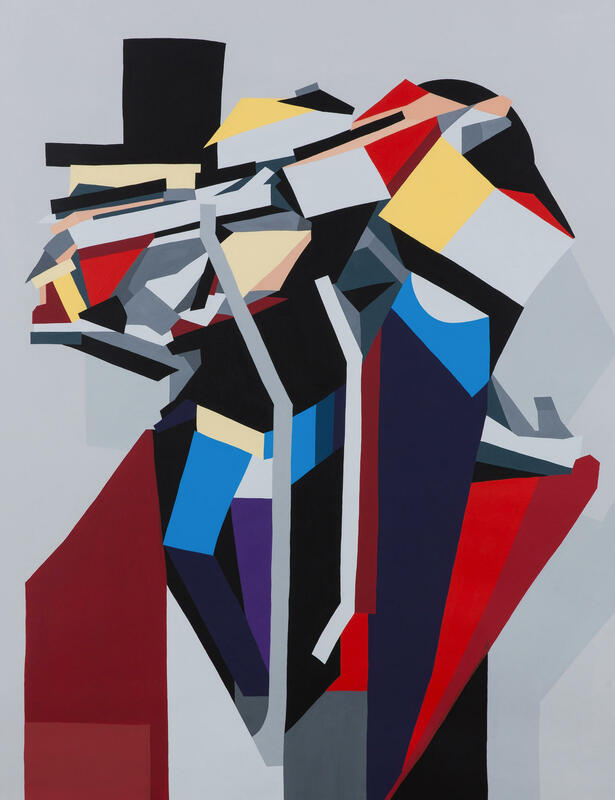 This mixing of traditional analogue techniques and bold colors creates a three-dimensional image that online appears to be two-dimensional – also on this level Kroeger allows a more complex analogue artwork compared to its digital pendant. 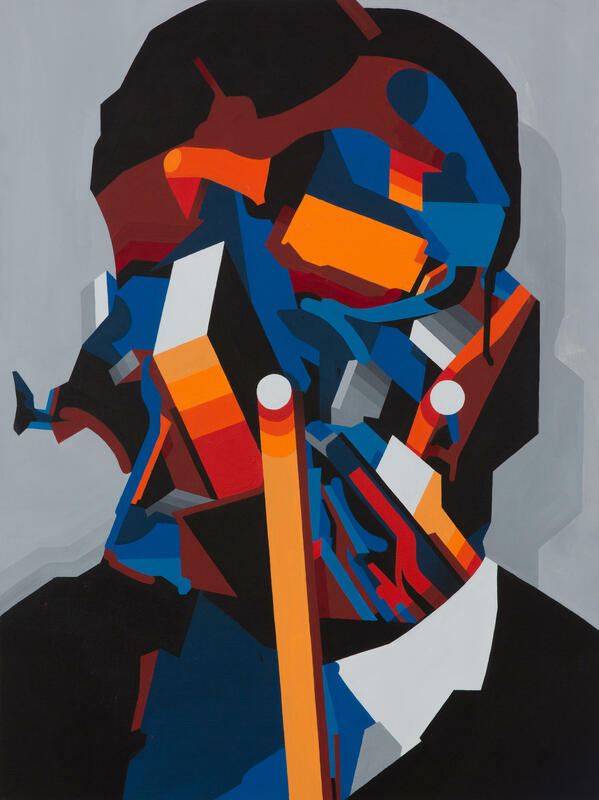 Through the filter of his early urban art influences, Kroeger takes the historically important theme of portraiture and combines it with a binary presence to create a contemporary portrait of man in the 21st century – both on large walls and on canvas, and by the standards of actual, artistic greatness.